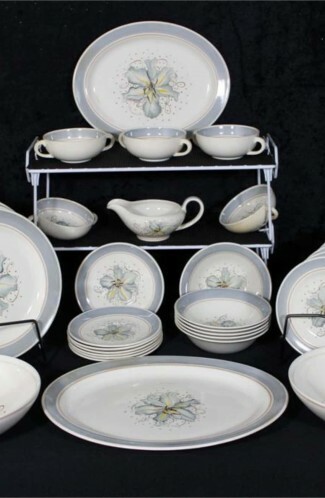 Vintage - Beautiful Corinthian Shaped Wedgwood "Pembroke" China Dinnerware Pattern #T428 - Made in England from 1900 until 1936. Pink Floral Bouquet with Green Leaves in Center of White Plates. 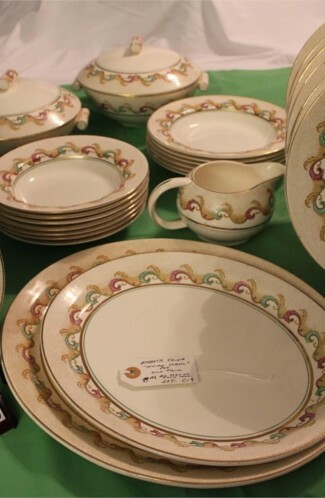 Raised Decorative Frieze on Plate Lip, and Red Verge Ring. 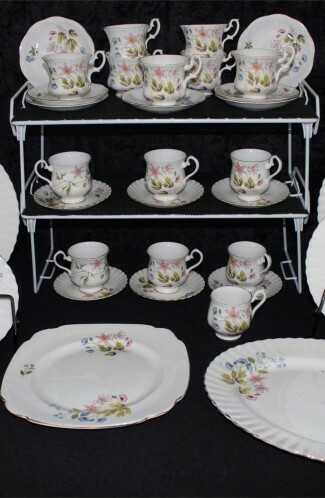 This is a sophisticated (25) Piece package of Wedgwood, well worth picking up as Accessory Pieces, or as an addition to less decorated dinnerware. 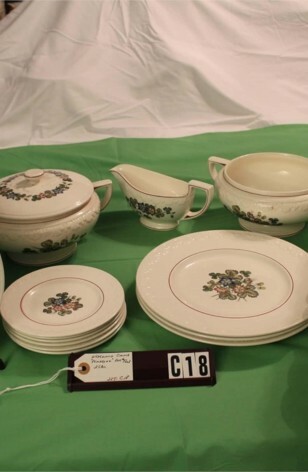 Vintage - Beautiful Corinthian Shaped Wedgwood "Pembroke" China Dinnerware Pattern #T428 - Made in England from 1900 until 1936. .
3 - Dinner Plates - 10 5/8"
6 - Salad Plates - 8 1/2"